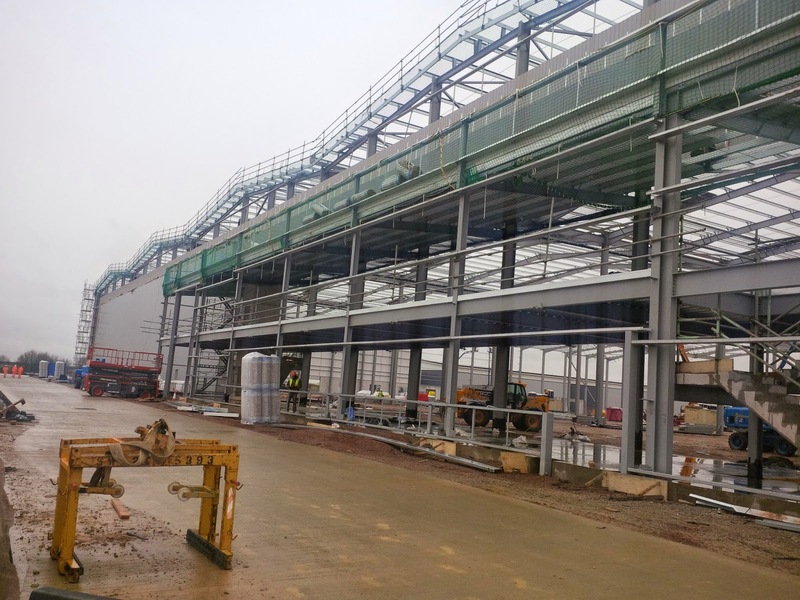 As of 13 February, Bespoke will proudly be undertaking works at DSV's new 200,000 sq ft warehouse and distribution centre. Situated within the ever expanding Warth Park, this 10 week package will involve the full internal fit-out of 10,000 sq ft of office accommodation. Our scope of works will consist of partitions, drylining, joinery, carpentry and the installation of Armstrong suspended ceilings and kitchen facilities. DSV operate globally and provide logistics solutions by road, air and sea. With offices in 70 countries, they boast an international network of partners and agents. Due to its fantastic location and road links across the UK, DSV will use its new base to effectively transport goods to all corners of the country. Our 10 week stay will see us return to Warth Park for the third time in three years. In 2013, works at Geopost's distribution centre were completed, while 2014 saw us wrap up works at the neighbouring Airwair (Dr Martens) warehouse and offices. This will also be our second project for DSV after completing works at the nearby Northants town of Thrapston back in 2013.